Your college dorm room has to act as your bedroom, living room, and office space. Your dorm bed and desk have it covered for two of those purposes, but how can you make it feel more like a lounge/living room? Simple! Add some comfy dorm furniture. 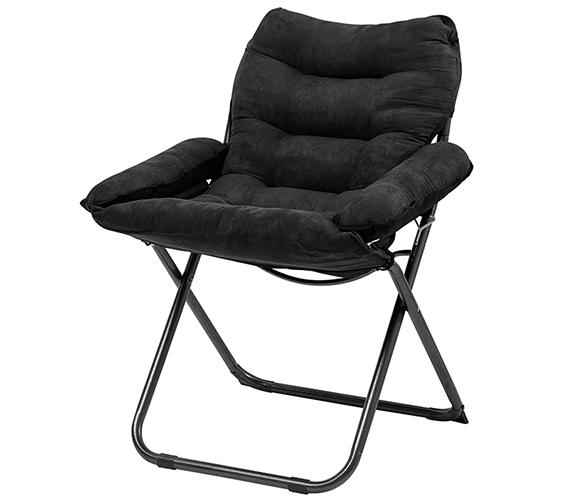 You obviously can't fit a whole couch in there, but this College Club Dorm Chair - Plush & Extra Tall - Black will make a nice seating addition to your dorm items. 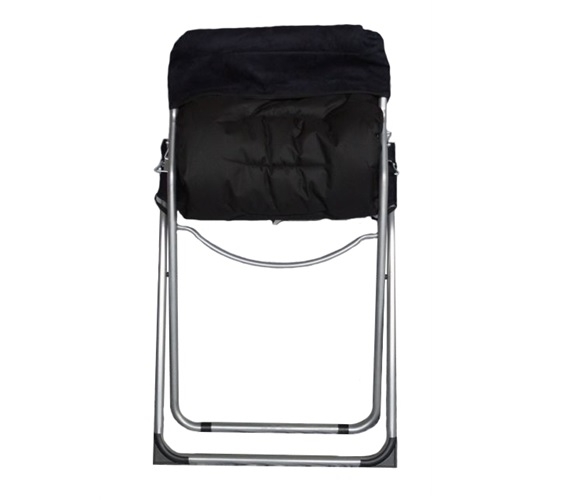 With all your other dorm stuff, this dorm lounger folds right up for easy storage. It's also a good size, but isn't too large, so there will be enough space for the rest of your dorm supplies. As your probably noticed, this dorm room seating fixture has armrests! 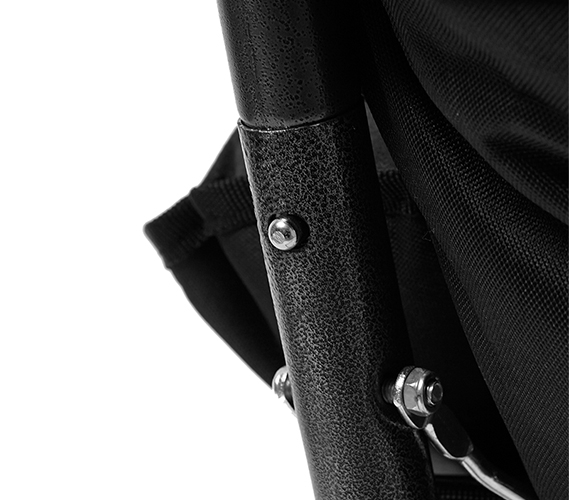 Your dorm desk chair probably has armrests, too, except, like the rest of the chair, they're made of wood and really aren't comfortable. 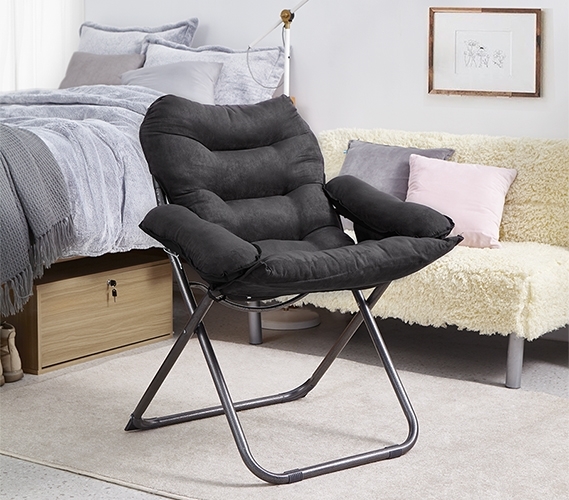 Have no comfort concerns when it comes to this dorm chair. Its thick, plush cushioning is just what your body needs after a day of classes and walking (or jogging if you were running late) all around campus. This dorm seat is so comfy you can even take naps in it, and even if you don't nap now, you'll probably start napping once you're in college! 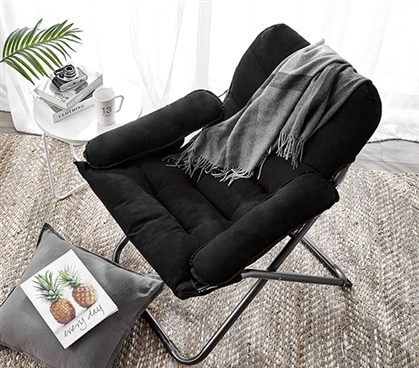 This chair for dorm rooms also makes a comfy place to curl up with your textbook—if you can manage to stay awake. Extra Tall.. Extra Cushion... 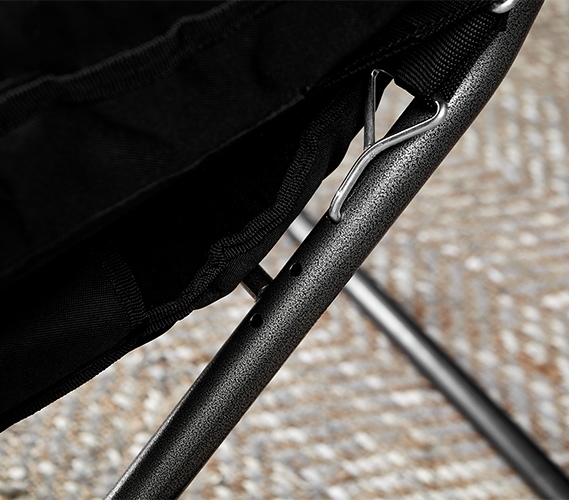 Extra Comfortable Seating... See for yourself!